The Gladiator® 8 ft. Adjustable Height Bamboo Workbench is versatile enough for use in many rooms of your home. It’s a great work surface in your garage, fits in right at home in the office, or can be an ideal spot for wherever you do most of your creative projects. With 15 different height levels, you can easily adjust for added comfort in your preferred work style—whether you’re working closer to the ground, at a seated height or in a standing position. 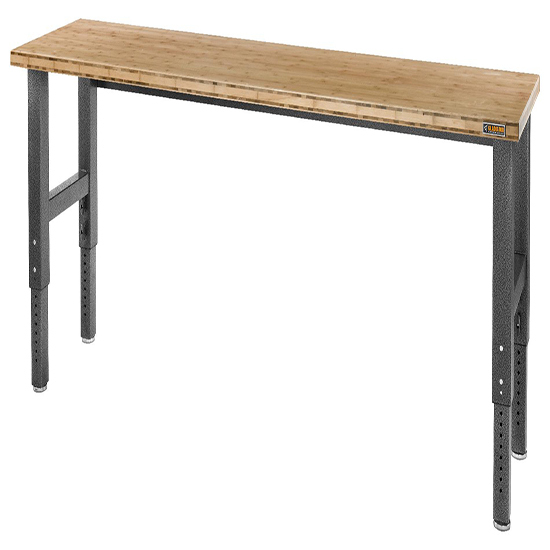 With 15 different height levels, the adjustable workbench is always the perfect fit. Easily adjusts to provide the proper working height to get the best results on the biggest projects. Add a Stool or Modular GearBox of equal depth, and you can begin to create an entire Gladiator® system around this modular workbench. And all of our products are built to last. 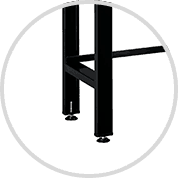 The four 2.5 inch diameter threaded bolt leveler legs allow height adjustments of up to 1.25 inches to compensate for uneven floors and provide a flat work surface. Nylon pads prevent floor stains and corrosion. 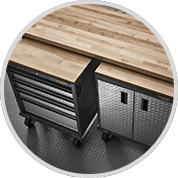 Workbench dimensions ensure you have the smooth surface your projects demand. 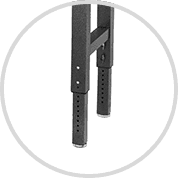 Height is fully adjustable to meet ADA height requirements. 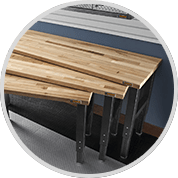 The heavy-duty steel legs not only support the weight of the work surface, they also provide a solid foundation that won’t slip, slide or shake as you work.